Matrix Biolage R.A.W. 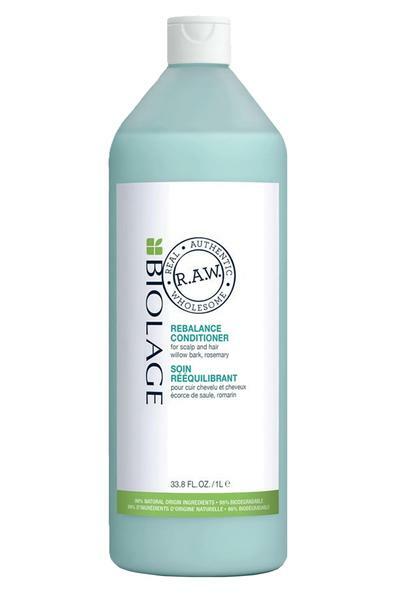 Rebalance Conditioner helps to de-stress your scalp. This refreshingly lightweight conditioner with Willow Bark and Rosemary easily spreads upon application, releasing all-over scalp soothing moisture. Also helps resist bacteria whilst acting as an antioxidant and anti-inflammatory.